I've just returned from the Clan Jetties of George Town, Penang. These traditional jetties in Penang Weld Quay are the settlement built by Chinese immmigrants who share common historical, geographical and lineage origin. 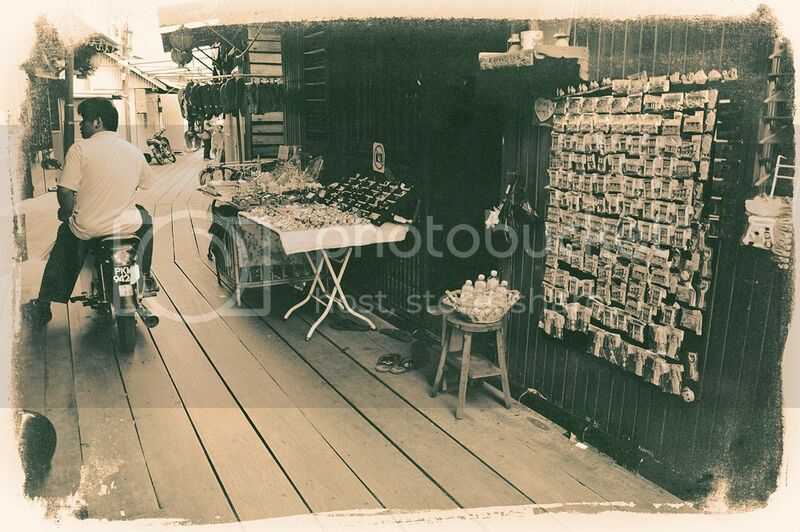 Title: "Shops in Chew Jetty"
Chew Jetty is a favourite tourist spot in Penang, you can even find a souvenir shop in it, alongside with a grocery shop and a dessert cafe. 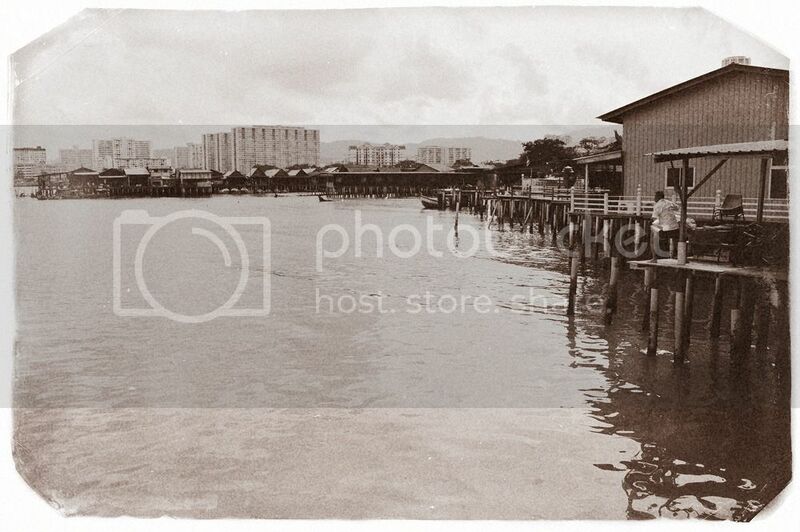 The Chew Jetty in Weld Quay (Malay: Pengkalan Weld) is a traditional settlement of wooden houses built on silts and the name “Chew” is the surname (the first name) of the residences. Migrant’s families with this surname would live together in this area. Some traditional houses converted into gifts shops. There is a narrow wooden walkways for tourist, cyclists and bikers alike. "Clan Jetties in Penang Weld Quay"
Most of Georgetown, Penang major tourist attractions are within walking distance. I've just arrived in Penang probably around 4 p.m. in the afternoon. Tired, hot and humid. Nonetheless, I walked all the way to the legendary Clan Jetties of Penang Island. I spent two hours exploring the jetties. The entire place....it looks like 'Pulau Ketam' (English: Crab Island). The Clan Jetties. Did you notice? There's an uncle throwing a fishing net into the ocean. I was sitting on one of the wooden platforms. What happened next? Follow up in my upcoming blog post. Last edited by mylo; 09-01-2012 at 12:45 PM..